We kick-off the new season in my bookclub with The Tiger's wife by T. Obreht, a book that has created quite a lot of buzz in the literary circles. Not only because it won the Orange Prize, but also because it chronicles the story of many people who find themselves in a new place, but still feel the connection with their past from a totally different area / country / continent. Obreht's roots are in former Yugoslavia, and going back to these roots and (re)discovering her family's history was probably the inspiration for this book. We follow Natalia, a doctor and volunteer in an unnamed country (for reasons unknown), as she's heading to a village to help orphans. Her journey is disrupted when she's informed of her grandfather's death in Zdrevkov, the village where he grew up. The search for his belongings triggers a walk down memory lane, re-discovering her relationship with him through the stories he told her of the deathless man and of the Tiger's wife. These two fables together with Natalia's volunteer work intertwine in the book, and try to bridge the past with the present. 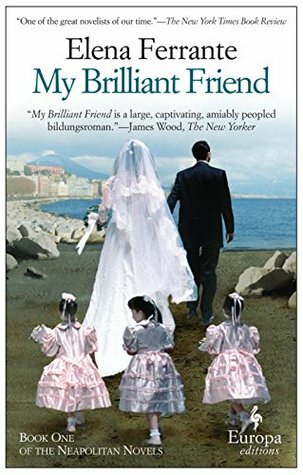 I found this novel easy to read but peculiar, as Obrecht first and foremost a master is at describing every tiny detail that take place in Natalia's life or the stories she's heard. Especially in the latter, I found it not always convincing that a person could recount in so much detail a story they've heard (but maybe it's only my memory that's deteriorating...). On the positive side, what I liked in this book is how Obreht manages to take the essence of each phase in life and show the influence it can have on the shape of a future point in time: watching her doctor grandfather, Natalia becomes one herself, experiencing a bad incident with a tiger as a child, Natalia's grandfather maintains an affinity with tigers. Also very interesting is the closeness all of us feel to our roots: no matter how much we "advance" and "evolve", deep inside we seek the comfort of the known, the customary, that which has left a stamp on our person. Although it is the title of the book, I have to admit that of the stories narrated in this book, I was not interested at all in that of the Tiger's wife. I found the story really dry, with no apparent impact on Natalia's grandfather. Obreht dedicates a large part of the book in the description of Luka, the Tiger's wife's human husband (...) and Dariša the Bear, a hunter set out to shoot the tiger. An extensive account of their childhood, their families and what makes them tick covers pages and pages - I just could not see how such detailed information related to the overall story... I would rather have had more depth in the grandfather's story, as he is the main character leaving a stamp on Natalia's life. What surprised me, in addition, was the lack of great emotion: the book is supposed to take place in the war-torn Balkans, where emotions are usually very high on the agenda (personal experience, you see...). Yet, Natalia and her best friend Zora for example, friends from childhood, appear to talk to each other like colleagues and Natalia does not seem to want to confide the death of her grandfather in her... Natalia's character, in general, is not developed enough to have a voice of her own - I found her rather colourless throughout the book. "When men die, they die in fear... but children die how they have been living - in hope..."
I agree with you somewhat, all the same, The Tiger's wife was one of the few books I enjoyed last year. 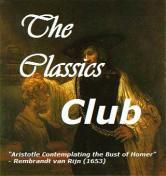 Please do check out my review of this book. You might find it interesting! Indeed, it is a good first novel, and I hope to see Obreht's writing style further developed in her next book.